A furnace is a great thing to have, but home or business owners do not want to deal with a broken furnace. 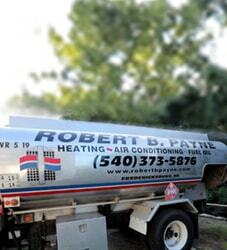 The experienced Robert B. Payne, Inc HVAC contractors are here to offer quality furnace installation and repair. In order to help you take good care of your furnace, we think it is important that you are aware of some of the more common problems that occur with furnaces. Mismatched Thermostat and Furnace: Your furnace should be paired with the right type of thermostat. The capacity and capability of your furnace will determine what type of thermostat you will need, so make sure that you take a close look at the owner’s manual to make sure everything matches correctly. Electronic Ignition Problems: Open up the front of your furnace and start a call for heat so that you can determine what type of ignition system you have. If there is a slight flame that starts before igniting all of the main burners, then you have an intermittent ignition. If all of the main burners come on at the start of the ignition, then you have a direct ignition. Should you ever notice a problem with the ignition, give us a call rather than try to take care of the issue yourself. It’s just a matter of time before your furnace breaks down. The wintry weather outdoors will seep inside, and you’ll want to run the furnace daily. Unfortunately, heavy use and a lack of maintenance could mean breakdowns. Don’t let that be the case, though. 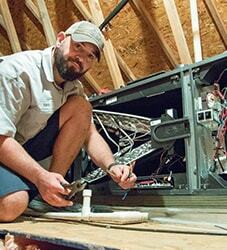 Our expert service technicians are available to take your calls for affordable furnace repair today. We work diligently to diagnose a furnace issue, explain any solutions, and allow you to make the final decision on how best to move forward. 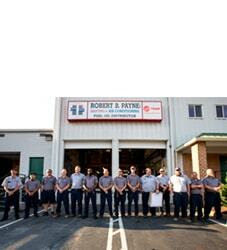 You can trust the experts at Robert B. Payne, Inc to satisfy your furnace repair needs in a prompt manner. We don’t mess around when it comes to heating services. So, if it feels as if your furnace is always breaking down, schedule repairs with us today. At Robert B. Payne, Inc, we offer affordable, convenient services and great opportunities! When any of these issues occur suddenly or rapidly, don’t wait to call the professionals. Robert B. Payne, Inc technicians would rather fix the issue immediately than wait for it to become even worse. If the emergency maintenance issue isn’t immediately visible, it could still be something that needs immediate attention. For emergency maintenance repair, our crew is the one to call. How do I know if my furnace is working properly? As a homeowner, you need to look out for the telltale signs that your installed heating system is working as efficiently as possible. A properly working furnace will offer the entire family or business some indoor comfort and peace. Of course, there are warning signs for when your furnace is not quite working how it should. A properly working furnace will not be emitting any serious noise or smells, which are common warning signs. An overly old furnace may work properly, though there is a chance of parts wearing out after years of significant use. To ensure your furnace is working well, the biggest sign to look for is even heating throughout the entire building. No room should be left forgotten by your heating system. The temperature should be the same, for the most part, throughout each room in the building. What should I check prior to calling for furnace repair? When your furnace is on the fritz, many people experience a level of discomfort that causes them to ignore everything else and call in the furnace repair specialists. Unfortunately, many home and business owners fail to perform a check prior to calling in the professional. While this pre-call check won’t fix the problem you are experiencing, it may provide the technician more information for an effective repair job. To start, always check the thermostat in your building to ensure it is clearly on the ‘Heat’ setting. Believe it or not, this is a common mistake many people make. Next, make sure the temperature on your thermostat is higher than the indoor temperature at the time. If it is not, turn the thermostat up and wait a moment for the heat to kick on and warm the place. Another significant check you should perform is on the filter itself. Your filter is vitally important to ensuring the heater works as efficiently as possible. You should change the filter once per month. Numerous factors play into this question. For example, if you have animals in the home, your furnace filter may need to be changed more often. If there is a lot of dust, or someone smokes, or perhaps you simply enjoy keeping the heat on regularly, the filter will need to be changed more often. For the most part, a good rule of thumb is to change the furnace filter once per month. This allows for a completely clean slate while running your heating system. A clean furnace filter will allow the furnace to run more efficiently. Over time, your filter will become filled with dust and particles from the air, which then trap even more particles as it builds up. With a dirty filter, the furnace needs to kick into high gear and run harder, consuming more energy over time. This, in turn, will run up your monthly energy bill. What's causing my ductwork to pop when the furnace starts or stops? You may be sitting at home or in the office when you start to hear a popping noise from the ductwork overhead. This can sometimes occur when your furnace kicks on or stops after heating the building thoroughly. The most common reason that popping noise occurs is due to the ducts not being able to handle the amount and speed of the airflow moving through them from the furnace or heating system. 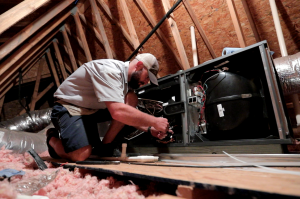 A qualified heating technician can explore your options and outline some solutions, which generally includes replacing the ducts and properly installing the ventilation system in your building. Alternatively, your heating technician may decide to implement a crease or a bend in the long portion of the duct work. This is known as “breaking of the ductwork” and allows the ducts to remain stiff and strong. This increased strength allows for higher pressure and prevents popping. The next time you are in need of professional furnace repair in the Fredericksburg area, call the friendly and capable technicians with Robert B. Payne, Inc. at (540) 373-5876.